Between Picton and Nelson on State Highway 6 in the Rai Valley, a turn off to the north that looks relatively inconspicuous opens up a world of opportunity. 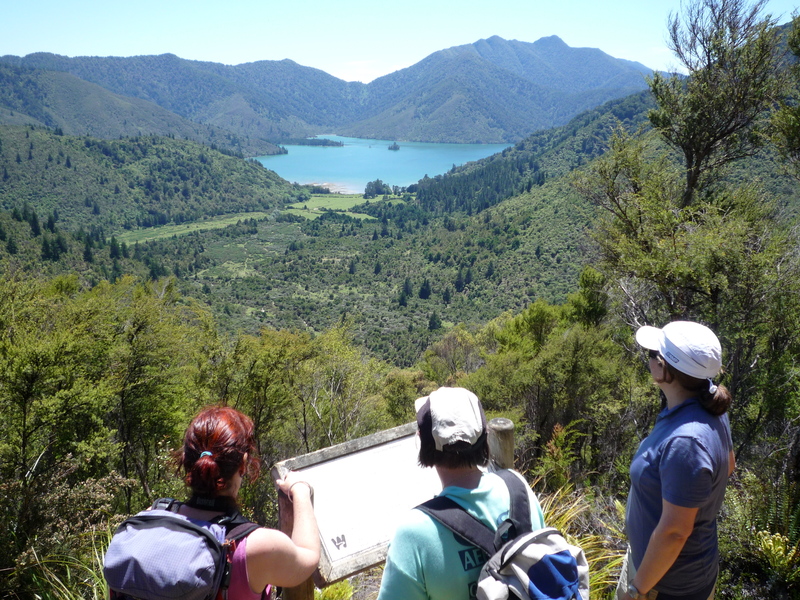 For some people in the know, it is an annual summer pilgrimage to access the calm waters of Marlborough Sounds and to get on to the bushy tracks that link many of the less accessible beaches. No wonder the area is popular among those who enjoy time by the sea. It’s all about adventure around every corner and camping opportunities in some lesser known locations. Once you are off State Highway 6 heading north, a turn to the right takes you to Tennyson Inlet (following the main road takes you through Okiwi Bay and beyond to French Pass). Getting to Okiwi Bay and beyond to French Pass is a journey that many campers take. On the way, there are other less distant camping options. One particular place is Elaine Bay that faces into Tennyson Inlet. 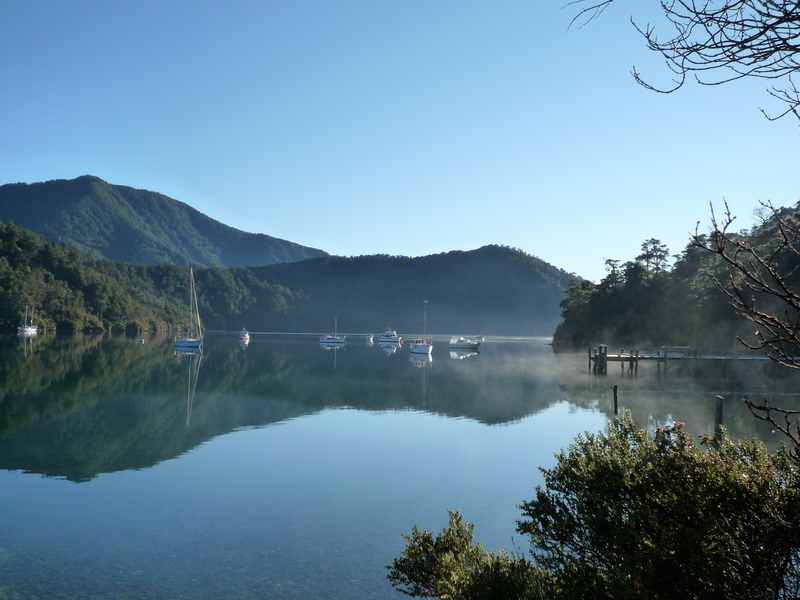 This is an ideal place to launch a boat or kayak into the calm waters of the inlet and to cruise around the wider Pelorus Sound. From Elaine Bay to the south east is Penzance which is accessible via a 10km walking or mountain bike track that hugs the coastline around the steep hills. The views are great out to Maud Island and beyond, and hint of potential adventure around every little bay in the inlet. You can get to Penzance the easy way by road too – it’s that earlier right turn after you leave State Highway 6 in Rai Valley. Elaine Bay is a standard DOC campsite with water on tap, toilets and other basic facilities for 20 tent sites. Cheap at $6.00 adult ($1.50 child)/night. There are great paddling daytrips throughout the Sounds. There is always somewhere sheltered to paddle and the trip can be as easy or hard as you like, determined by the distances between stops. One option from Elaine Bay would be to paddle out into the sheltered part of Tennyson Inlet to Tawa Bay campsite and explore further down the inlet to Matai Bay or further into Duncan Bay at the head of the inlet. There are campsites at Harvey Bay near Duncan Bay and Tawa Bay. Like Penzance, Harvey and Duncan Bays are accessible by road. 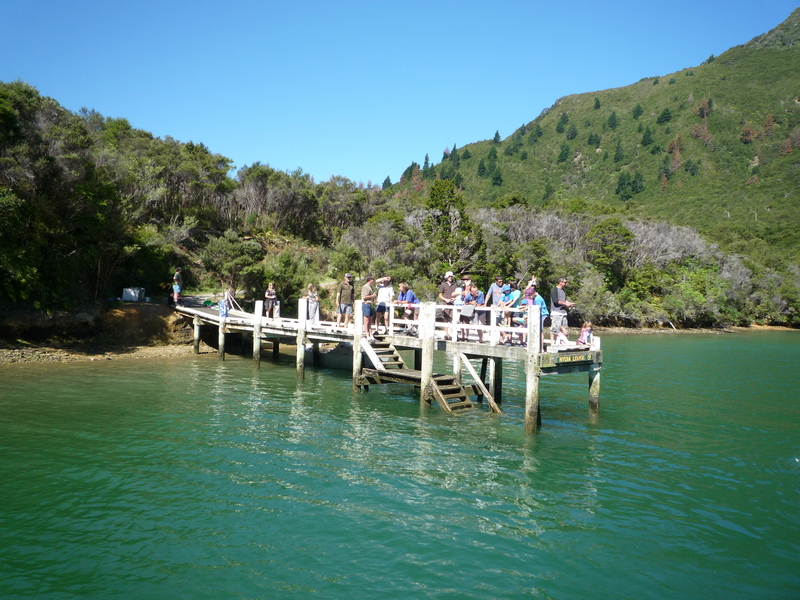 Tawa Bay is only accessible by boat or kayak. If you decided to stay overnight, there are tent sites at $6.00 adult ($1.50 child)/night. 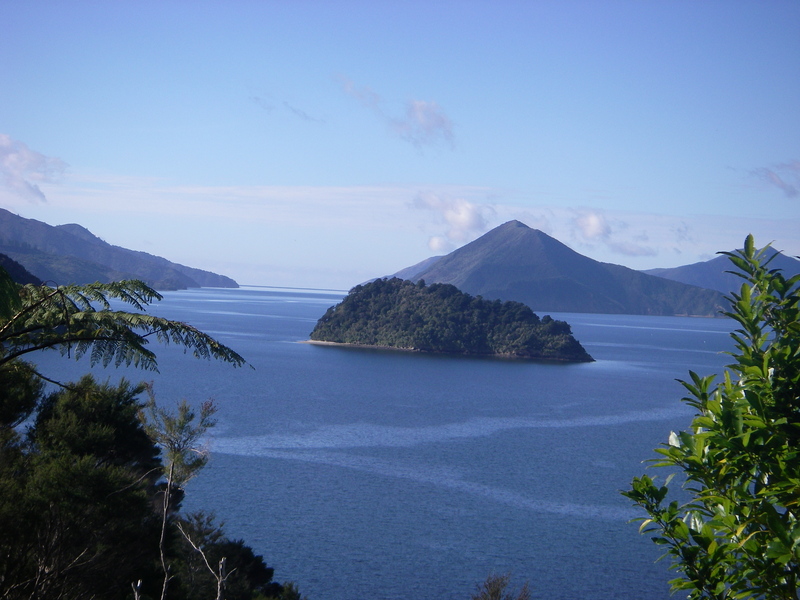 Those of you who are a bit more adventurous and well prepared for longer overnight camping trips can paddle out along the Tawhitinui Reach and turn into the entrance of Pelorus Sound. From here it’s a haul to Jacobs Bay campsite which has 8 tent sites tucked in out of the prevailing wind at the sheltered northern end of Fairy Bay Scenic Reserve. After some time in the boat it is a great way to stretch your legs by walking around Dillon Bell Point into Fairy Bay. There is water and a loo at Jacobs Bay campsite and if you don’t want to go for a walk, you can paddle around exploring the adjacent shoreline or just fish off the jetty. Next day, it’s a relatively sheltered paddle to Nydia campsite at the head of the scenic bay with further opportunities for walking. 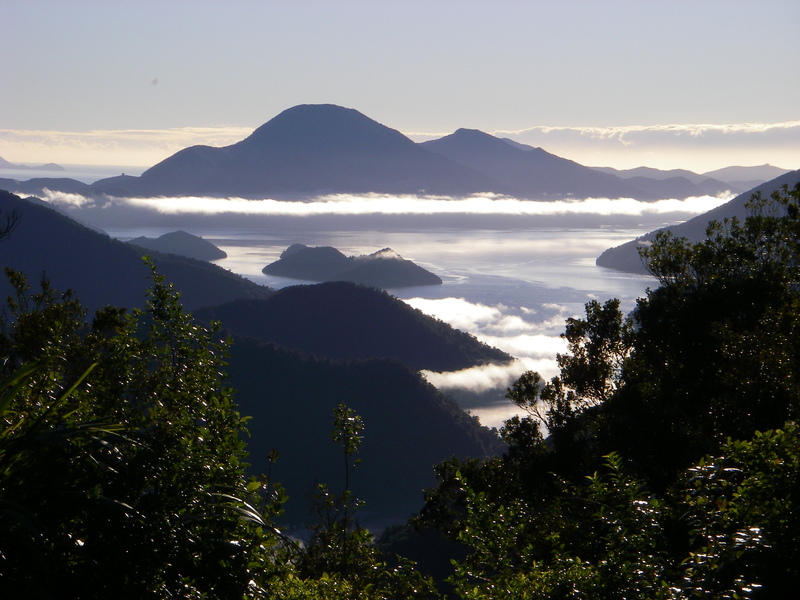 The Nydia Track winds its way from Pelorus Sound to Tennyson Inlet and passes through Nydia Bay. A walk up to Kaiuma or Nydia Saddles will be rewarded with views back into the bay or beyond. This is a shared track so don’t be surprised to see mountain bikers taking advantage of the great scenery and riding opportunities. There are 8 tent sites at Nydia Bay and because there is only boat access or people on foot or bike, you will feel a lot more isolated without vehicles nearby. The campsite is on one side of the bay and Nydia Lodge is opposite. The bookable DOC lodge is particularly popular with school groups who have the chance to get away from the rigors of school life for a bit of time in the outdoors. Sounds good? Sounds great! If the weather is favourable a paddle out of Nydia Bay to scenic Pipi Beach on the Hikapu Reach is on the cards. Pipi Beach is a great place to stooge around in the kayak and explore on shore and watch the boat traffic coming and going from Kenepuru and Pelorus Sounds. There are four camp sites at Pipi Beach and it is at the heart of what it means to get away in the Sounds. A return paddle north across Nydia Bay to Jacobs Bay will put you in a good place to get back to Elaine Bay the following day. 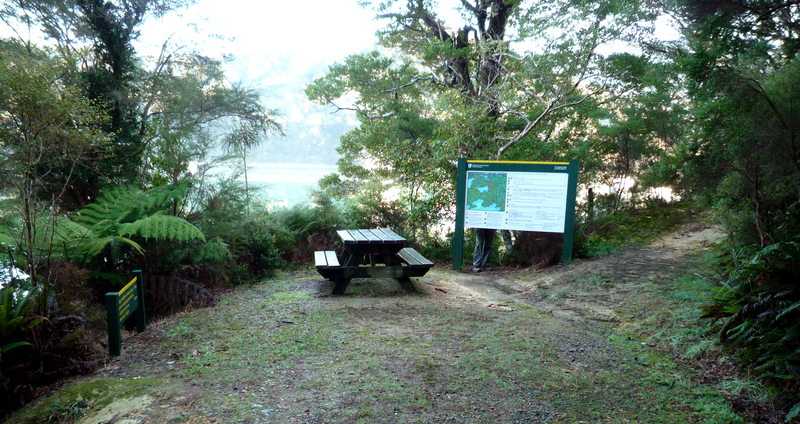 DOC manages about 40 camping opportunities in the Marlborough Sounds – many not accessible by road. 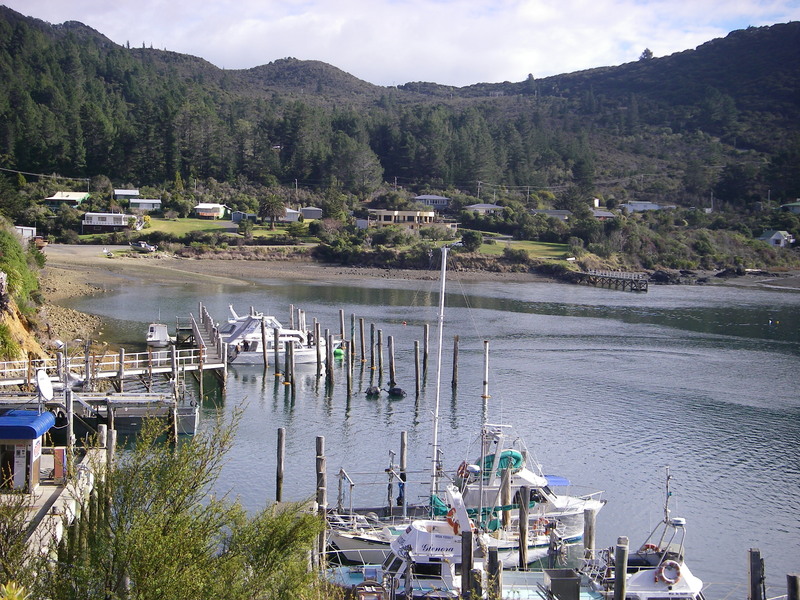 Much of the information about accessing these facilities is available on the DOC website, and Visitor Centres or i-Sites at Picton and Nelson can provide advice in person if you are looking for a bit of time on the water.